So you may have recently joined, or heard about Google+. Google what? Google Plus. Google Plus is the new “social networking” platfrom from Google. It’s much more than just “Google’s version of Facebook” as some people have called it, and it had over 20 million viewers in just 3 weeks—an incredible record for a social site. Not only that, but it may be the method of the future for communicating with other people. It’s very capable of replacing email, Facebook, twitter, Skype, and many other current communication tools. It also nicely moves all those features into one streamlined interface so you don’t have to learn new interfaces or ways of approaching things each time. 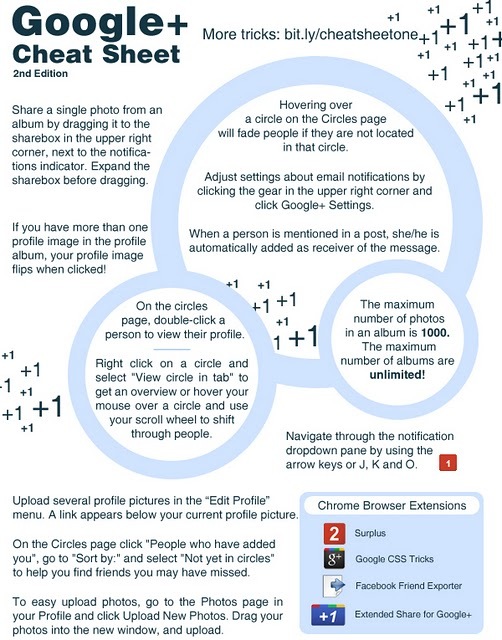 This is Mormon Life Hacker’s brief (relatively) guide to Google+. Unlike other guides you’ll find out there, we give some specific ideas about how you can use Google+ to share the gospel, coordinate and correlate for callings, serve others, and generally do things you can’t easily do with tools that existed before Google Plus came along. If you’re already comfortable with Google+, you may just want to skip to the LDS uses of G+ or advanced tips sections of this guide. Well it’s kinda like Facebook and Twitter mashed together… with some Flickr, Skype, Wave, and email, all thrown in for good measure. In short: it’s not really like any one thing. In order to understand what it is, we’ll look at a few quick examples to get a handle on it. On Facebook you probably have people who are your “friends” who you don’t really know. Maybe they happen to be in your ward, but you’ve never actually met them. On the other hand, you also have “friends” who you know and talk to, in your ward, when you’re at church on Sunday. On Facebook, you have 3 options: share with all of these people, share with them AND their friends, or share with everyone in the world. The main functionality of Google+ is somewhat like Facebook, where you see a “feed” or “stream” of all your friend’s status updates. Except that Google+ offers “circles” which allow you to make a “ward” circle where you can put everyone in your ward. You can also have a “friends” circle where you can put only those people you’ve actually met and know in real life. Then when you post an update you can choose exactly who you want to see it: just your friends circle, your entire ward, or make it public to everyone. It’s not limited to just 3 circles like that though, you can have as many circles as you care to create. Plus, people can be in as many circles as you want them to as well. For example, let’s say you’re in the Young Women’s presidency: you might include the other ladies in the presidency in your “friends” circle, your “YW Presidency” circle, your “Young Women” circle, your “ward” circle, and your “stake” circle. In this way you can quickly send a message to just the other women in the presidency, them and all the young women in the ward, or the entire ward, just by adding the appropriate circle or circles to to your message or status update. Ragan.com created an interesting infographic compairing the features and abilities of Google+ & Facebook. Another great feature of circles is that you can share with just a single person, or specific people. If they’re in your circles (or Gmail contacts), you just start typing their name in the “+ Add circles or people to share with…” box and Google+ will recognize them. Select them and the message will only go to that person or people. This means you could easily use Plus as a replacement for email. But unlike Facebook’s “Messages” feature, you don’t have to go into a different mode or interface to send a person or group of people a direct message. You simply add that person, several people, or circle to the post, and no one else, and they’re the only people who see it. In email, a recipient can then pass that email on to other people, even if you’d rather they don’t. Google+ even takes that into account: after posting, you can click the little “down arrow in a circle” button on your post and select “Disable reshare.” That way you can keep it within the people you intended it for. There’s also a “Disable comments” if you don’t want people commenting. Twitter offers a different approach from Facebook, where all “tweets” (aka status updates) are public to everyone by default. People can “follow” anyone they want to, to get updates from that person. There’s no “friends” just “following” and “followers.” You can follow famous people, who probably won’t follow you back; and you can follow your friends, who probably will. You can also publicly message anyone by simply tagging them in your tweet. G+ offers all this, by allowing you to follow people (put them in your “following” circle) who you do not know personally and may not follow you back. Of course, you can only see their public updates, and people who follow you in the same way will only see your public updates as well. If you add them to a circle, they will then see your public updates, as well as any shared with that circle. Additionally you can publicly message people in your posts as well as comments on posts, by simply typing the “+” sign followed by the person’s name. If they’re in your circles (or Gmail contacts), Google+ will guess who you are typing and provide suggestions. You can use the arrow keys and enter or simply click with your mouse to select the person. They will then be “tagged” in your post or comment. That means they will receive a notification they were tagged, and it becomes something of a public message to them, just like using the @ sign on Twitter or posting on their wall in Facebook. The final aspect of Circles is that you can also quickly sort what you want to see. On both Facebook and Twitter, you can either view everything that anyone posts whom you are following or friends with (though Facebook does some basic filtering of “Top News” vs “Most Recent”), or you can see just the updates posted by/to an individual person. There’s no way to see just your family’s updates, or just friends you actually know in real life. Once again, Google+ makes this very easy (are you starting to see why those who like it, really like it?). All you do is click the name of the circle in the left-sidebar. Viola! Now you’re only seeing updates by or to that circle. Since this is so simple, it might be good to create a circle called “People Who’s Updates I Want to See” or something of the sort. Then once you’ve added those people to it, hope that one of the Google+ updates that are coming soon, will be to set a circle as your default stream view when you open G+. MLH recommends the new book “Google+ For Dummies” by Jesse Stay as your complete guide to Google+. Currently only $7.99 on Amazon.com. Hangouts are a great feature that are a lot like the features that skype offers. You start a hangout by inviting circles or individuals to join you. Once in the Hangout, you can video conference (the default), just do a voice call, normal text chat, and even watch YouTube videos together. Basically it’s just multiple options to communicate live, rather than via posts and updates. One really nice thing about it is you just let your browser install a plugin to get all these features. There’s no program to install and having running on you computer like with Skype and other solutions. If you’ve used the video call feature in Gmail, you’ve already got the required plugin installed. Sparks is basically a makeover and integration of Google Alerts. Rather than relying on your circles to find out the latest and greatest on a given subject you’re interested in, you can setup “sparks” or individual topics you want updates on. Then instead of friends providing those interesting links, Google does. Through it’s search engine’s magical powers, it provides the latest things on that topic. This allows you to keep updated, simply by clicking that Spark in the sidebar under your circles. So just as we mentioned in our article on using Google Alerts to do family history work and get the latest Church news, you can follow the same methods, but have it right within Google+. No need for email updates or to visit the Alerts site, just click the spark you created in your G+ sidebar. A Huddle is basically a mobile version of a Hangout. Why Google chose to separate the two, I’m unsure, but perhaps it will become more clear in the future. Huddle is a part of the Google+ Android and iOS (iPhone & iPad) apps and is basically a group chat or instant message (IM) feature. It works a lot like the Google Talk app, but is designed for group chats. Using your circles, you can quickly get an entire circle in on coordinating or planning a lunch date, setting up a presidency meeting, or simply organizing some football at the park. 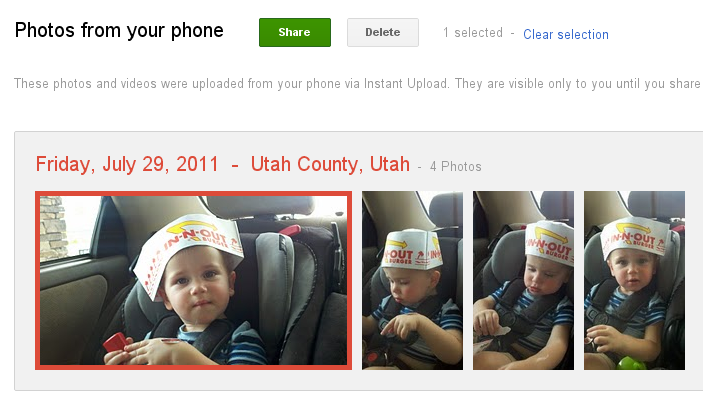 Google handily incorporated their existing Picasa Web Albums into G+. This allows you to quickly and easily upload photos to the web and share them with specific friends or circles. In my opinion this is a far better way to share photos than on Facebook. Some albums you may want to make public to the world, while others will be kept within a circle or only shared with those who were there. Google has a 1GB limit on photos uploaded to the web albums, but for Google+ users any images smaller than 2048 x 2048 pixels (approx 4.2 megapixels) are not counted toward this total. For non-G+ users, it’s 800 x 800 px. That means Plus users could effectively backup all their photos to G+/Picasa Web for free! Most images wouldn’t be full quality, but it’s better than no backup at all (and lets face it, very few pictures actually get printed these days, they’re mostly get viewed onscreen and 4.3MP is much higher resolution than most screens). Plus you could selectively upload full-resolution images that you want full-quality backups of (tip from MLH author Travis Washburn who’s doing this himself). Finally, the Android app automatically backs-up your images to the cloud. Not just the most recent 1k, or the last month, but all of them, permanently. And if they’re less than the size limitations, it backs them up forever, with no limit on how many! Once they’re uploaded, it only takes a few taps or clicks to share them with whatever specific group or individuals you want to. I think that you can carry on presidency circle things really well. Which can be post/discussions or virtual meetings through hangouts. I’m Elder’s Quorum secretary and I used it to help organize our Quorum BBQ Activity. It is easy to give assignments (example, who brings the hamburgers, who brings the ketchup, etc…) and have a single place where people can comment. None of this was done publicly, but instead by sharing it with a small group (our presidency), and I think this is where Google+ may really shine… when you want to hold a discussion with a small group of people that is as private as e-mail, but can occur in a shared space. I read someone was using Hangouts to have one-on-one conversations with a friend about religion. I’m also a fan of using social media to share glimpses of Mormon life and beliefs. My Mormon circle is the largest of all my circles. I have been seeing a lot of really good links posted that I have been able to share with others. Currently I just use it as a community to get ideas from. I plan on using Google+ for on-line missionary work, but also to “fill my cup,” by interacting with those who share the same value system, and who have a better understanding of gospel principles. I’m using G+ to organize and direct discussion directed solely at the Priesthood and men of the church. I am also working tonight to setup an LDS book club circle. You may have read our previous article on using email lists or online forums to communicate with your ward, or organization within the ward. If you get your entire organization on G+, that whole process would be very simplified. There’d be no need for people to be added to the group, or to send out mass emails. You simply send the message to the appropriate circle. Further coordination and correlation can be done via the comments on the original message and are shared with everyone in the circle. Plus, if you need to bring somebody else in (as Sheila pointed out), you simply tag them and they’re able to see the original message and entire conversation, so they can easily get up to speed. A new product that Google released alongside Google+ is called Takeout. It allows you to download all your Google data. So as an example, you could download your Google+ stream, and then compile all your status updates as part of your personal history. Since this would include messages directly to individuals (unlike your Facebook updates), it would include more private, personal information for your personal history & journal. If you’re coordinating with other family members on your family history, create a circle with those people in it, so you can quickly and easily share general resources and tips or specific sources of information on the family you’re working on. Using chat or a hangout, you can even look at things simultaneously. I recently got called to be a “Block Captain” in my ward. Here, that means that I’m in charge of helping some surrounding houses (it’s coordinated with the city, so I’m over both members and people of other faiths) to be prepared for emergencies, and also to alert them in case of an emergency. There was a range fire last week, that was stopped just one mile from our homes. So for us, it’s a very real possibility that I may have to alert people. Using Google Plus (as long as I get everyone’s email) I can create a circle of my block, and easily message them during the early stages of an emergency (such as when I was watching the fire soon after it started, but it wasn’t time to evacuate) to let them know of a possible need to evacuate in the near future. Also the person who’s supposed to notify all the block captains, could have us all in a circle. Then when I receive the message, I simply re-share his/her message with my Block’s circle, as would the other Block Captains. Kathryn Skaggs did something that I thought was pretty forward-thinking, when she started a conversation to tag all the Mormons on Google Plus (or at least all that wanted to be tagged). Since there’s no way to share circles currently, this was the best method. You can go through the conversation she started and add all the people tagged in the thread, to a “Mormon” circle, but it takes some time. Hopefully sharing of circles will be added in the near future. Share your ideas in the comments and we’ll add them to this guide! Michael Grace, creator of the foul language plugin for Twitter and a similar one for Facebook, comes through with a similar browser extension/plugin for Google+. Now you can turn off foul language in Google Plus, as well as hide GIF images, which often contain animated images and can be crude or otherwise unacceptable. One weakness (for now) of Google Plus is that you can’t search content. You can search for people, but not stuff you or they have posted in the stream. So here’s a couple of ways to search Google Plus’s content: use GPlusSearch.com to quickly search from a website, or if you use Google Chrome, you can use this method to search right from your browser. Lifehacker has a complete guide to how to migrate your data from Facebook to Google+. Notice the 1st two items are from my twitter feed. 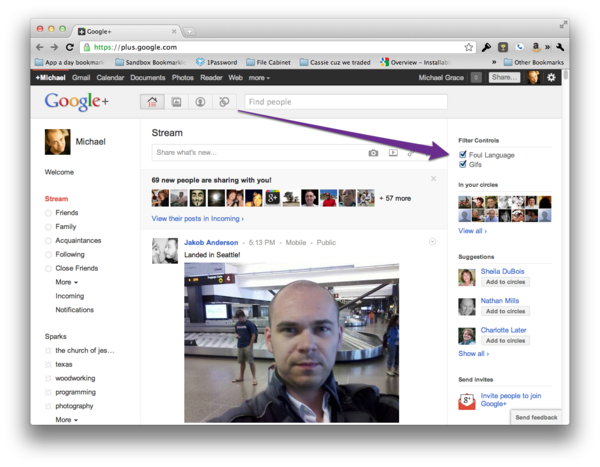 Start Google Plus is an extension for Chrome and Firefox. After installing it and connecting your Facebook & Twitter accounts it allows you to view your streams from those sites, in Google Plus. It also allows you to comment, reply, retweet, and post updates to those sites. It’s super handy and has eliminated almost all need for me to ever visit Fb and Twitter. Another great option, formerly known as +Agent G, and now as +Rob McGee (in order to comply with Google Plus’ real-person policy) Agent G/Rob McGee is an awesome tool that lets you post to Facebook & Twitter. All you do is visit http://gplus.sagg.im/ and authorize that page to access your Facebook & Twitter accounts. Then you’ll need to post on G+ with a special authorization code that is given to you, and only share that post with Rob McGee. After that, any time you want to share something on Fb and/or Twitter, just add +Rob McGee, individually, to the list of people & circles you are sharing with. One great thing about this tool as opposed to the browser extension above, is that you can do it from the Android and iOS apps in the same way. 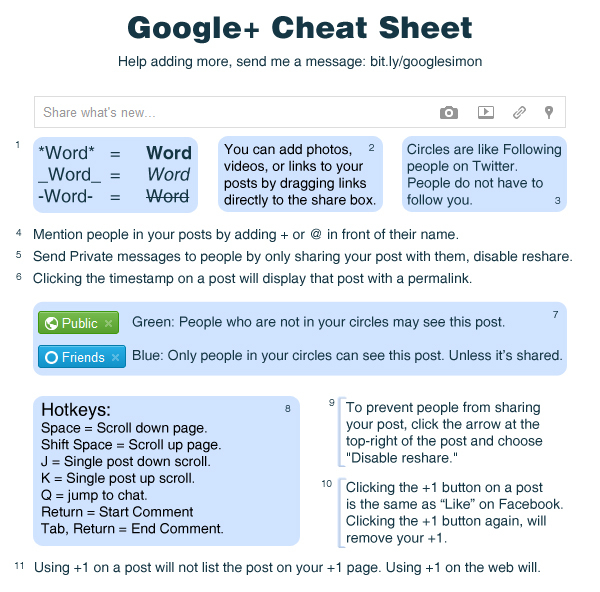 If you like keyboard shortcuts, cheats, and other tips, check out these 2 Google+ cheat Sheets from How-To Geek: Sheet 1, Sheet 2. If you’re looking for more in-depth information on Google Plus, you can checkout the Google+ Help area, or the Complete Guide from Mashable. If you need an invite to Google Plus, share your email in the comments (we’ll edit it out once we have it), or message us via our contact page, @ldslifehacker on Twitter, or via our Facebook page and we’ll do our best to get you an invite. We had a ward activity yesterday and I logged everything that was going on (including pictures). That way those that weren't at the activity could see the fun we were having and hopefully participate next time. As a new member of the church it sounds like a great way to ask other LDS about any queries I may have and get a personal response, whilst strengthening friendships with other ward members. You're a blogger after my heart! 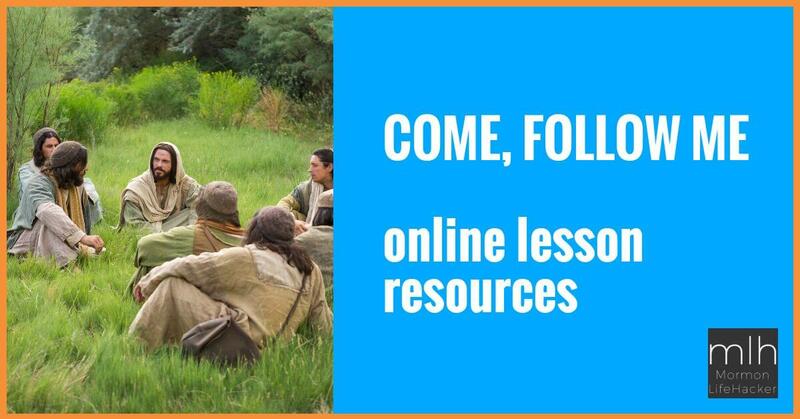 Thanks for this excellent resource to help LDS members better utilize G+ to help share the gospel online, among other things. I guess I better update our Mormons on G+ list! Having received a recent calling as EQ Sec, I'm excited to start using Google+ for the Presidency. Great tips and suggestions. Love the Foul Language filter, which I wasn't aware of before now! Great post Tevya. Really insightful ideas about the potential behind G+ for the LDS community. Was glad to have a new perspective on the benefits of technology for fulfilling the missions of the Church. This sounds great! I have been trying to join for a few weeks to no avail I would love an invitation if you would be so kind. Thanks. I'm very new here, not the church, just getting up to speed on social media. Couldn't remember if I'd already sent you one, so I just sent the invite now.